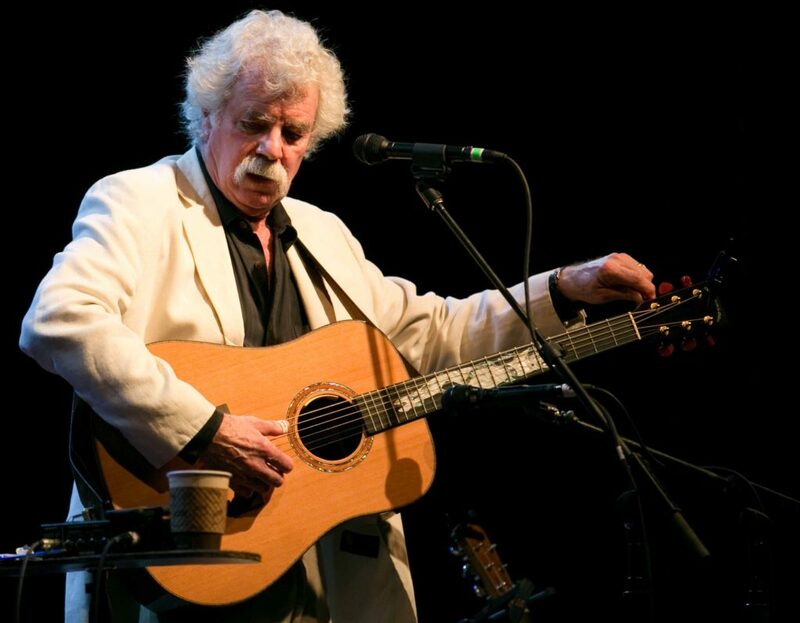 Tom Rush’s shows are filled with the rib-aching laughter of terrific story telling, the sweet melancholy of ballads and the passion of gritty blues. Although he’s known for his live performances, Rush’s albums are also legendary; The Circle Game, according to Rolling Stone, ushered in the singer/songwriter era. Rush’s impact on the American music scene has been profound. He helped shape the folk revival in the ’60s and the renaissance of the ’80s and ’90s, leaving his stamp on generations of artists. James Taylor told Rolling Stone, “Tom was not only one of my early heroes, but also one of my main influences.” Country music star Garth Brooks has credited Rush with being one of his top five musical influences. Rush has long championed emerging artists. His early recordings introduced the world to the work of Joni Mitchell, Jackson Browne and James Taylor. Rush has an uncanny knack for finding wonderful songs, and writing his own – many of which have become classics re-interpreted by new generations and in new genres. It is testimony to the universality of his appeal that his songs have been not just folk and country hits, but – no joke – heavy metal and rap hits as well.